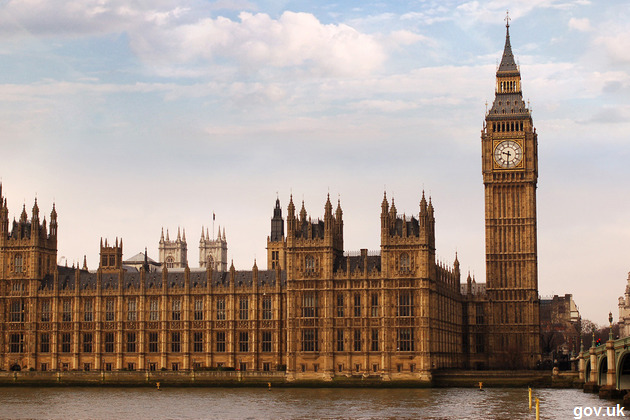 The debate over Premier Christian Radio's future on the Digital One DAB digital radio multiplex reached the House of Commons last night, with MP's discussing diversity in radio broadcasting in an Adjournment Debate. Late last year, it had been reported that Premier was going to be evicted from the Digital One multiplex. Reports suggested it had to pay £1 million for its slot and that it was due to leave national commercial DAB in December, but had been given a reprieve until March 2015. The parliamentary debate was initiated by Labour MP Stephen Timms, who questioned the possible replacement of Premier with Heart Extra or another pop station, and the potential of the multiplex operator falling foul of the 1996 Broadcasting Act by doing so. Ed Vaizey, the Minister for Culture and the Digital Economy, then confirmed that negotiations over a slot for Premier have been ongoing, revealing some of the hurdles affecting a deal. According to the Minister, the issues are partly due to Digital One wanting Premier to commit to broadcasting on its multiplex until 2018, while Premier wants to switch to the new D2 multiplex in 2016 - it is involved in both bids for the new multiplex. "there have been discussions with Premier about taking up this capacity. Those were on commercial terms, but in order to take up that capacity, Premier Christian Radio would have to transmit on D1 until 2018. Clearly, if Premier Christian Radio wants to move to D2 in mid-2016, it does not want to have a slot on D1 that runs until 2018. "Furthermore, the D1 slot on offer is at 80 kilobits rather than the 64 kilobits that Premier, primarily a speech service, uses at the moment. "These are important matters. Technically, I should not intervene in these discussions, which are commercial, so it is not for me to influence them, but this is an important radio station—one I support wholeheartedly—and I spoke to its managing director, Peter Kerridge, this afternoon to ascertain the situation. I hope a solution can be found. I am pleased with some of the progress made. As I understand it, Arqiva is going to see if it can re-purpose some other spare capacity on D1 to create a 64 kilobit stream for Premier Christian to take over. For that to work, there would need to be some give and take on all sides. "It is important, and, I think, good news for Premier, that even if for the sake argument the contract came to an end on 31 March, Arqiva would still need to apply to Ofcom to change services and until a decision is made by Ofcom, Arqiva will need to meet the current format requirements for the slot. That would allow Premier to continue to broadcast potentially beyond 31 March. "Ofcom cannot intervene in that respect or in the commercial negotiations until any application is made by Arqiva to change the current line-up of services." "There is a trend of losing speech-based stations from Digital One. A number of stations were there but are not any longer: One Word, a speech-based service of plays, books and comedy; ITN, speech-based rolling news; Talk Radio; Primetime, targeted at the over 50s; The Jazz, a Jazz music station, as one would expect; NME Radio, music news; and Bloomberg, financial and market news. All of those were on Digital One but have now gone. Against that disappointing pattern, the enforced removal of Premier looks even less defensible." This situation is likely to change though, with both bids for the new D2 multiplex containing several speech based stations. In addition to Premier, which features on both bids, Sound Digital plans TalkSport 2, TalkRadio and TalkBusiness, while Listen2Digital's bid includes Share Radio, RTÉ Radio 1 and a station about food. Both bids include jazz stations.